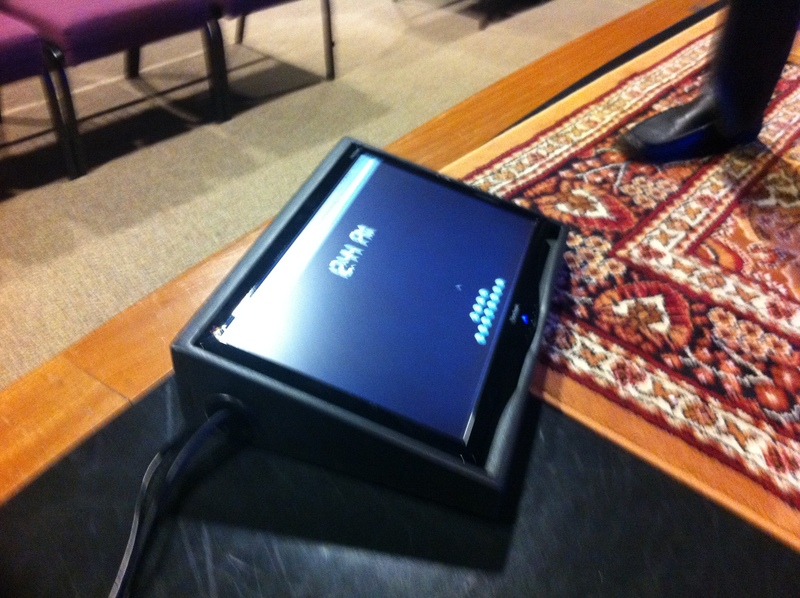 Simple stage video monitor that allows for a video display on stage with minimal interruption for the audience. The box is constructed of poplar and painted satin black. The design is available based on what ever display is required.